Today I am sharing a special Danish recipe for a twisted bread which is prepared over the embers from a bonfire. In Danish, this bread is called Snobrød which can be directly translated into Twisted Bread. 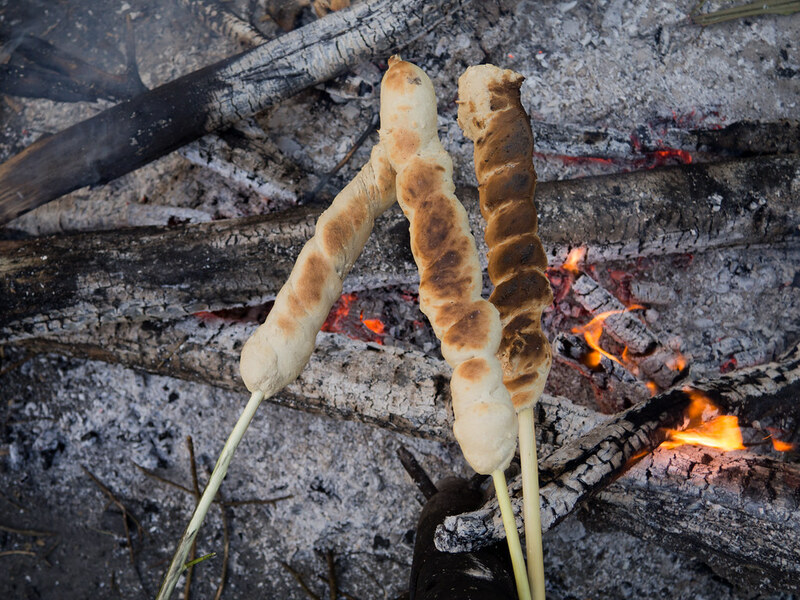 The bread is typically something the kids love to make and is a fantastic way of getting some ‘Hygge’ into a night around the bonfire. 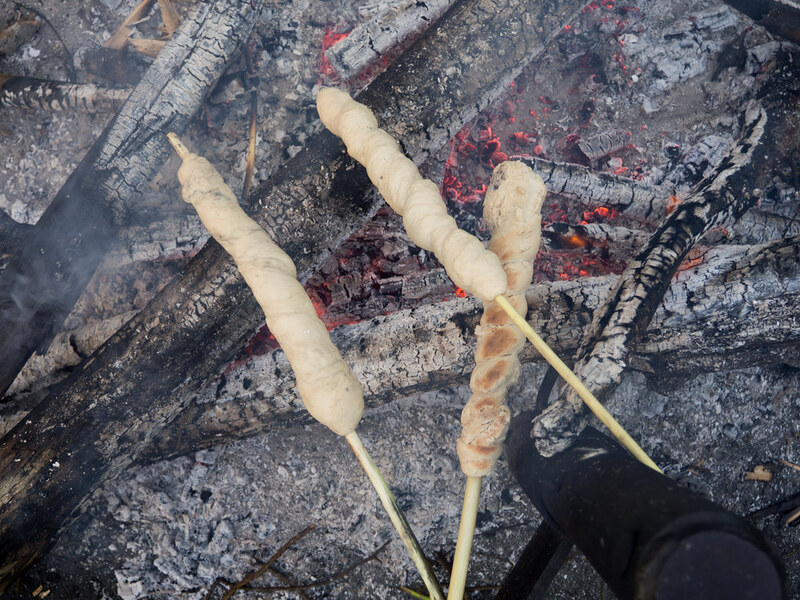 There is just something great about sitting around a bonfire, feeling the heat from it and baking some bread which is twisted around sticks found in nature. 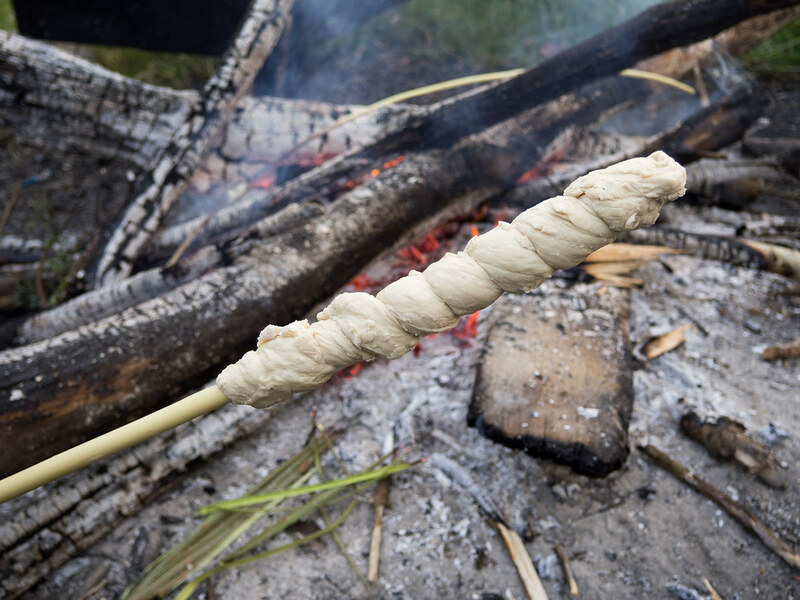 The bread is prepared by rolling a long and thin ‘sausage’ in between your hands and then it is wrapped around wooden sticks, which is found in the nature. Finding a ‘great’ stick is also one of the fun parts for the kids. A great stick is a long, straight and strong stick. 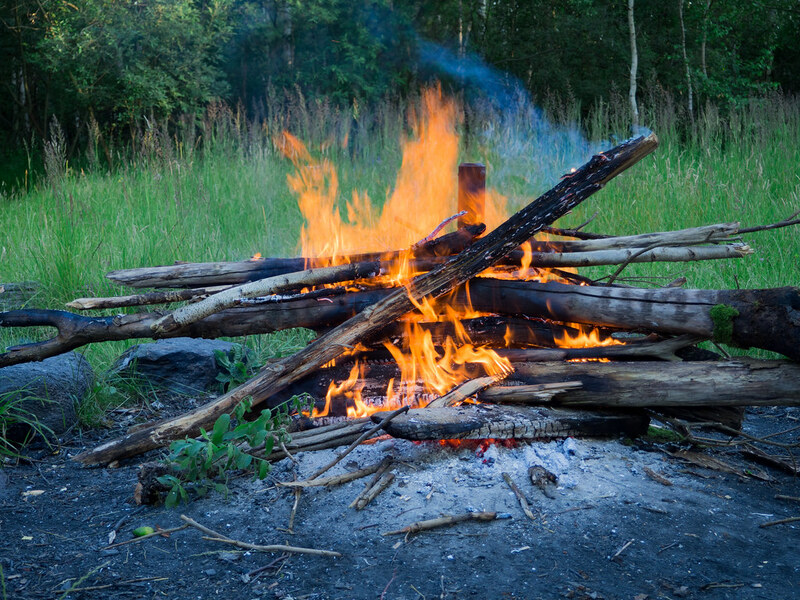 It is also a good idea to remove the first 20-30 cm (12 inch) of bark from tip of the sticks. This way it is easier to remove bread once it is baked. 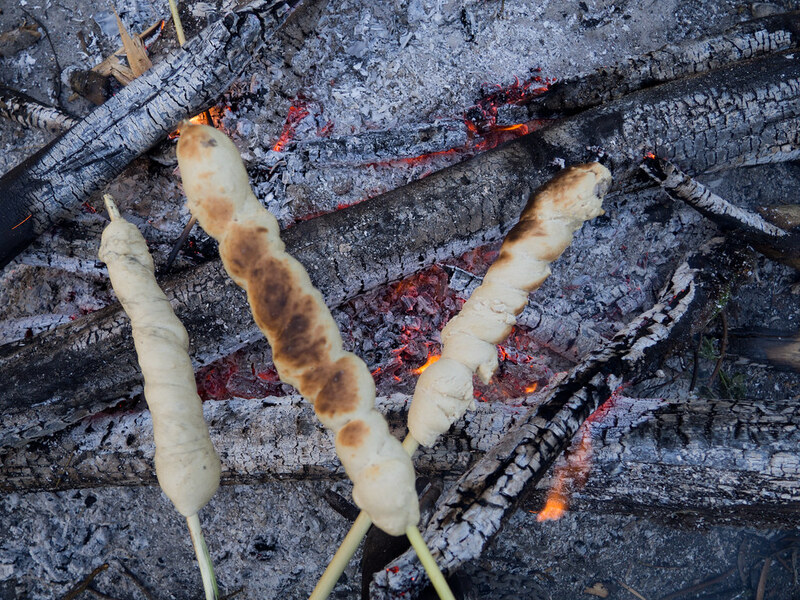 The great thing about this Snobrød is that it is getting very crisp on the outside, due to the hot heat from the embers, and at the same time soft on the inside – this is how the bread is best if it is prepared perfectly. The tricky part of baking the bread is to find the ‘best’ embers, which is very hot and without flames, and also avoiding setting the tip of the bread on fire. A funny and challenging experience for both kids and adults. It is just fun getting back to basic and making food on a bonfire. The Snobrød is traditionally eaten just as it is. However, it is also nice to serve the bread with some Ketchup as dipping. Another way of making this twisted bread a little more delicious is by first wrapping the stick with some thin slices of ham before wrapping the bread around it – then you get a delicious combination of ham and crisp bread. The recipe itself is just a very simple all-purpose flour dough, which is easily prepared in 5-10 minutes. You simply just knead all the ingredients together and let it rise for about 30 minutes. Then you roll a long and thin piece of dough and wrap it around a wooden stick. The baking time, over the embers from a bonfire, is very difficult to put a time on. This time is highly dependent on how hot the embers are. Try to avoid flame as they only tends to burn the bread and sometime setting the bread on fire. 1. 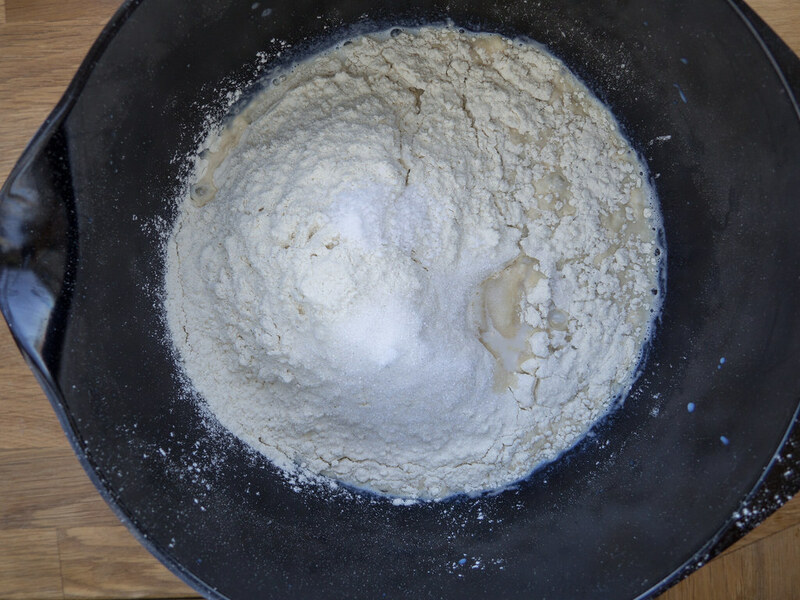 In a large bowl, add the water and dissolve the fresh yeast in it. If using dry yeast, add this together with the flour in step 2. 2. Add the all-purpose flour, salt and sugar. Knead everything into a smooth dough. 3. 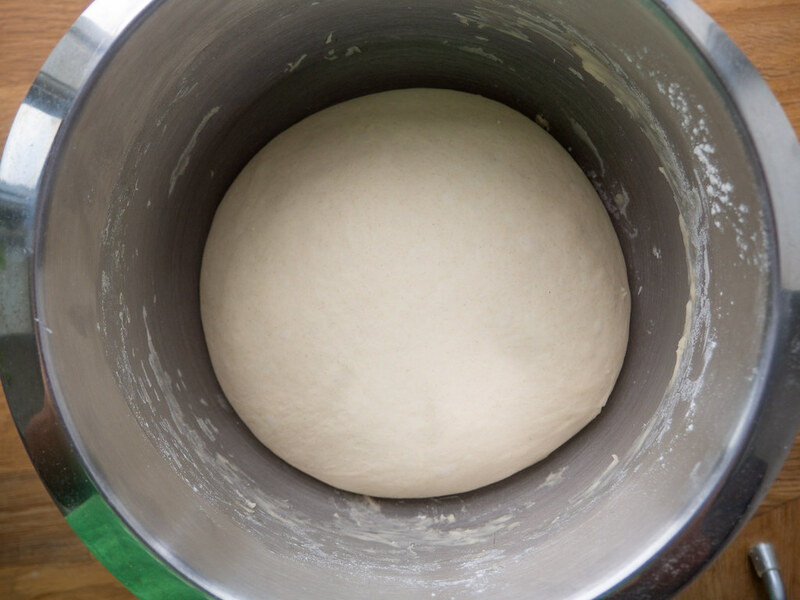 Let the dough rise for minimum 30-45 minutes. 4. Now roll large and thin bread ‘sausages’ and twist them around long wood sticks you have cut from trees. 5. Finally bake the bread over a bonfire. 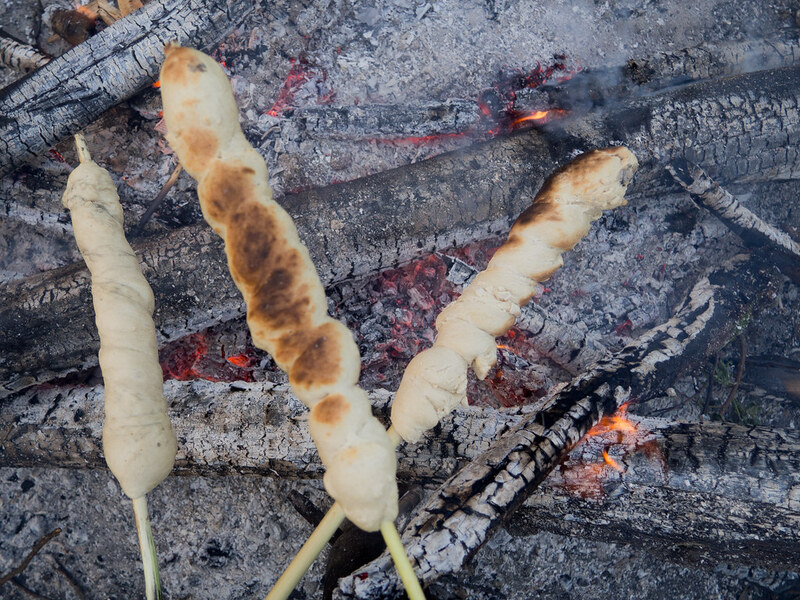 You get the best twisted bread by baking them over hot embers. What a great alternative to unhealthy hot dogs and gooey marshmallows like we roast here in the US. My nephews love to cook things over the fire, but none of us really care for marshmallows and I don’t like to feed them hot dogs often. We’ll try this, thank you! I agree with Carrie above that this is a wonderful alternative to other things we bonfire roast here in the States. It looks so inviting and tasty . Thank you Kim for sharing and showing this recipe ! English and your site popped up. Thanks for the fall dinner idea. You should be able to cook it in a traditional oven. However, maybe it’s a little difficult to get the slightly burned and very crisp surface. Hi Kim, I have seen this recipie made with beer which replaces the yeast. I am making this bread in the woods with a youth group on Friday and won’t have time for it to rise with this yeast recipie. I haven’t seen this recipe with beer. However, it sounds interesting. I think it might work. You can also make the dough the evening before and only add like 10 grams of fresh yeast. Then you just keep it cold in the fridge until you need it.